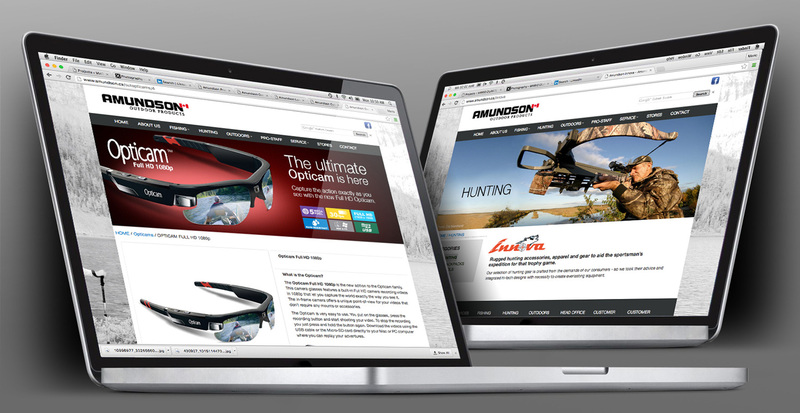 What is Amundson Outdoor Products? 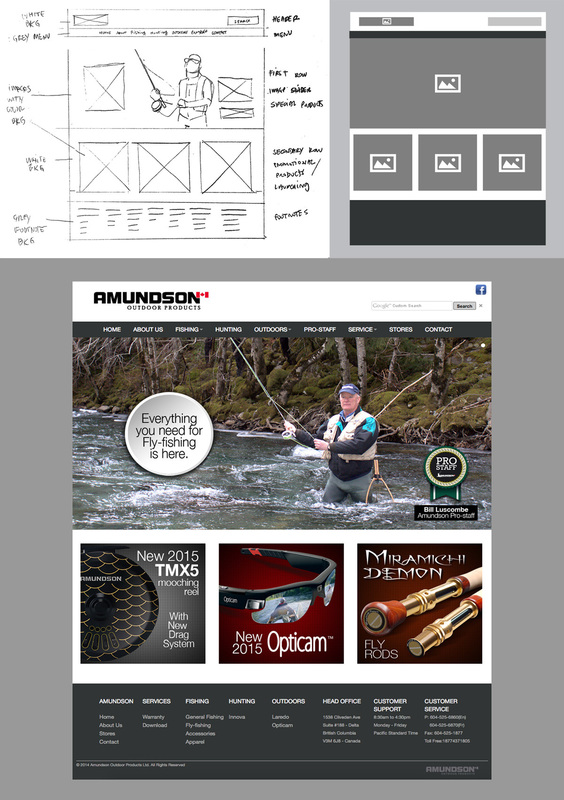 Amundson is a Canadian manufacturer of sports fishing, hunting and outdoor products based on Delta, BC where I worked as a Creative Marketing Manager from 2013 to 2015. My first task in this area was to evaluate the state of the company’s branding in general and make the necessary arrangements to set a standard usage by the several third party factories in Canada and China. A proper style guide was created for the company’s five brands and an entire corporate stationary was printed. Another important initiative was to develop a relationship between the company and lifestyle photographers that could produce high quality assets to be use on the website, advertising materials and trade shows. This partnership was necessary to create a library of photography assets showcasing our products in real Canadian outdoors from different provinces and therefore going 100% without using stock photos. A complete overhaul of the company’s website was necessary since it’s technology was outdated and didn’t show the newest brands and products. The wireframe and the content was created by me and the coding was done by a hired developer. The concept behind the new version was to let the content speak for itself with the new lifestyle & product photos setting the tone while the structure and background features a grayscale color code. The packaging design was being done mostly by the third party manufacturers and by the company’s factory in China, and the first thing I wanted to do in this area was to bring all this work back to Canada where I could have total control of the design. To have this control it was necessary to build a photography studio in the company’s office where I could experiment a bit more with product photography. The result was a a faster and more effective creative process that made the production output a lot bigger. The first thing in advertising was to create the media plan choosing what and where to advertise. 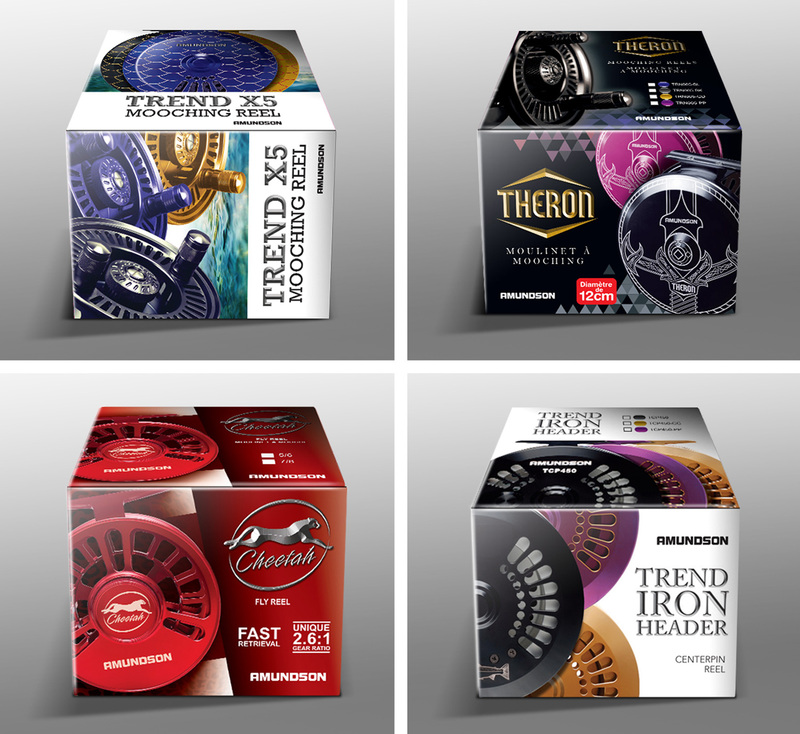 Every province in Canada features an unique aspect of fishing and Amundson develops specific products for each of these markets. Another important task was to relaunch the Pro-Staff Program where fisherman from all parts of Canada showcase our products in fishing derbies, in-store workshops and trade shows. With this initiative we were able to make the company’s advertising more human and emotional featuring these real fisherman instead of only products what resulted in a great feedback from customers. After two years and 2 months I parted ways with Amundson knowing that I left my mark in the company’s creative marketing, not only on the visual aspect but more importantly on the process of how a marketing department should function.